“J & A” are missionaries who partner with Business As Missions (BAM) and they have a sports ministry. They work in an undisclosed country in Africa to reach people for Christ. Please pray for this young family as they minister in a difficult environment. Pray for this family to obtain all the permits they need to start their business, for finances, and for good schooling for their children. Ray, Kay and their son, David, are missionaries in Stockholm, Sweden with Greater Europe Mission. Kay’s background is in elementary education. As a result of a short-term mission trip to Spain in 1985, Kay received a burden for the special needs of missionaries and their families in the area of education. In 1988 she moved to Vienna, Austria, where she taught at Vienna Christian School. In 1993 she helped start SHARE Education Services in Budapest, Hungary. They provide consultations and testing for missionaries and other ex-pat families, helping them assess their children’s educational progress and needs. One of Kay’s main tasks is coordinating children’s programs for SHARE conferences and retreats at different locations around Europe. She also has an active music ministry in Sweden. Kay and Ray were married in 1997. Their son David was born in Sweden in 1999. David has just started his studies at university. Curt is the VP of Operations at SonSet Solutions in Elkhart, IN, which provides technology-based solutions to advance the gospel worldwide. They support the mission’s shortwave, satellite, internet, and local FM & AM radio broadcasting ministries. They are especially interested in places where radio may be the only means of spreading the Gospel, such as the 10/40 window. Son Set Solutions is also looking to provide technological solutions for community development initiatives such as clean water projects and clean energy projects, and to help reach people for Christ using social media tools. Bruce & Marti are AWANA missionaries, who work with regional churches to reach and raise up children of faith through AWANA ministries. AWANA is a nondenominational ministry that assists churches in reaching children and teenagers with the Gospel of Jesus Christ and training them to serve Him. The Brumfields began their AWANA career in 1984 in Panama City, FL. From 1986-1990, they served as volunteer AWANA missionaries to England. During their 24 years in the Air Force, they started 7 clubs. 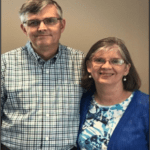 In May 1997, they were commissioned as AWANA missionaries to NW Florida and SW Georgia, and served three years in that role. In 2000, Bruce was called to work on staff at AWANA Headquarters as Training Director and Director of Field Services for the US. 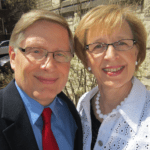 In 2008, Bruce & Marti were commissioned to serve as AWANA missionaries to N. Illinois. The Pregnancy Center has been serving Clinton and the surrounding communities in Illinois and Iowa since 1986. It is a Christ-centered ministry whose goals are to preserve the life of the unborn child; offer direction to young women; and be a support to the local church. The Pregnancy Center offers a full range of informational and personal services including: Pregnancy testing; limited ultrasounds; compassion support; post-abortion support; sexual intergrity education; TREE 3 mentoring program & boutique. The Victory Center is an emergency shelter, and reaches out to the homeless and needy in the Clinton area. Currently, they provide temporary housing for 90 men. Bible teaching and substance abuse rehabilitation are provided for those in residence as well as meals for the needy in the community (including an annual Thanksgiving Dinner). The Center also has a ministry to Spanish-speaking Third World countries. The Victory Center holds a chapel service every day at noon, just before lunch is served. There are nightly Bible studies held by volunteer pastors and lay people, as well as morning devotions that are led by a resident or staff member. Victory Center requires approximately $250, 000 yearly in monetary and in-kind donations for day-to-day operational expenses. The Victory Center requests prayer and financial support. They need to raise funds immediately to continue operation. Please pray for God to meet their needs. In 2007, Pastor Casey Danley traveled to speak to nearly five hundred pastors gathered from all over India. He saw how the spread of the Gospel and the growth of the church there was rapidly increasing. At the same time, he saw pastors who were pouring themselves into faithfully shepherding their churches while facing great challenges. Many were lacking the basic training needed to teach and minister faithfully. Returning home, Casey’s research found that this same phenomena is taking place in many places around the world. The church is growing, yet the number of properly equipped pastors is lacking. In 2010, Grace Global Partners was incorporated to serve Christ and His church in meeting this need. GGP ministers to equip untrained pastors for faithful service in partnership with the local church. They desire to partner with a variety of churches, ministries, and mission organizations in meeting this need. GGP is currently focusing their work in India. Mark serves as the Iowa/South Dakota Regional Associate Superintendent with an emphasis in Church Planting Ministry. He is a coach to planter; consultant to churches desiring to plant; and a catalyst for starting new churches in Iowa and southeast South Dakota. Mark has been involved in the beginning of 26 churches since he began working in the Central District in 1995. Mark also oversees the credentialing process for the district pastors and helps with some administrative work in the district office. Carol works in food service for the Boone Community School District. Eli is a senior at Boone High School. Andy, Candice, Aden, Liam, and Kylie live in Grimes, IA. Continue to pray for the Dosses in the following areas: Reproducing churches; coaching church planters; and assisting with church planting with ethnic leaders and groups. Their goal is to create a caring community that is passionate about connecting people to Jesus Christ. They strive to accomplish this by sharing the Gospel of Christ witha as many students as possible, leading small group Bible studies, and equipping and training students to reach their world with the Gospel. Kyle and Carrie serve with SEND International in Ukraine. The SEND International ministry strategy in Ukraine is simply to help provide the Ukrainian Church with the tools and people to reach their own country for Jesus Christ, and to launch a missionary movement from Ukraine into the former Soviet nations. 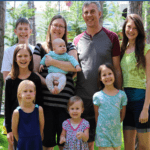 Kyle and Carrie along with daughters Michaela and Juliana and son Elijah have been in Sumy working with the church planting ministry since September of 2004. 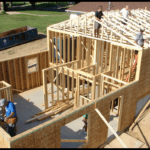 Habitat for Humanity of Clinton County is a locally run affiliate of Habitat for Humanity International, a nonprofit, ecumenical Christian housing organization. Habitat for Humanity works in partnership with people in need to build affordable housing. The homes are then sold to those in need at no profit and with no interest charged. Volunteers provide most of the labor and individuals, corporations, and churches provide money and materials to build the homes. The partner-family invests hours of work to build their own home, or the home of others, or volunteer at another community organization. Patricia is involved in Prison Ministry to inmates on Death Row and to those serving life terms. She writes letters to prisoners in Florida, Alabama, Georgia, and Texas. Patricia is a member of Clinton Evangelical Free Church. 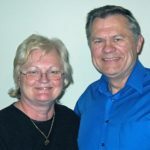 Ross & Mary Hunter are missionaries who equip Quichua pastors, leaders, and their families in the area of Discipleship and Biblical Training in the Andes of Ecuador. Ross says, “We’re ordinary people called by an extraordinary God to be servants of Christ among the Quichua. Married 30+ years, we’re proud parents of three adult children and three grandchildren. Raised in Ecuador, our kids, Jonathan (Maggie), Cristina and Jennifer, are blessed with a rich cultural heritage, as very few North Americans lived in our area. Various Ecuadorian friends, neighbors, and fellow homeschoolers in other parts of Ecuador, as well as our ministry support team have been a blessed and integral part of our journey. Approximately 24 years of living & ministering among different slices of Ecuadorian culture provide us with a unique perspective of the deep heart needs of the people. 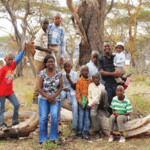 Brook of Hope is an orphanage in Mai Mahiu, Kenya. Pastor James Mumo takes in boys off the street, who otherwise have no hope. The orphanage provides food, shelter, and life skills for the rescued boys. Presently, there is an ongoing project to build a new dormitory to house 30 rescued children from the streets. 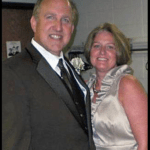 Mark and Jan Olander are semi-retired and now make their home in Florida. They still serve Africa Inland Mission both here and in Kenya. They are involved in the ministry of evangelism and discipleship of Africans both here and in Kenya. While in Kenya, Mark and Jan teach at the African International University, which is an evangelical graduate school and seminary in Nairobi. Mark teaches in the Educational Studies Department and occasionally leads faculty development seminars for teachers in Bible colleges in Kenya and neighboring countries. Jan has a ministry to Kenyan and missionary women. Barb is involved in Prison Ministry. She ministers to 15-20 women with visits and letters. She brings encouragement, Bibles, and Bible Studies, and other help as allowed. Pray for her witness of the love of Jesus Christ to the lives of those she ministers to and for her personal protection. Pray for the women she is reaching for their personal spiritual growth, and for the ladies who are released, and their loved ones on the outside. In attempt to keep Christ-centered education affordable, only 60% percent of Unity’s budget comes from tuition. Area churches, alumni, and other donors make up the remainder of the budget. In addition, in 2008 Unity opened Bargain Bonanza, a quality retail thrift store on 2nd Street in Clinton. Thanks to the donations received and many volunteer hours donated, Bargain Bonanza has already contributed over $1 million to Unity’s budget over the last 7 years. Thank you for your support of Unity Christian Schools. We greatly appreciate the monetary support, but we also appreciate the volunteer help and donations at Bargain Bonanza. Most importantly, we covet your prayers. With the partnership of fellow believers in the Gateway Area, and by the grace of God, we hope to continue shining the light of Christ to the young generation for many years to come. In the fall of 2013, the Wallace family left for South America to serve the poor, sick, and hopeless in Quito, Ecuador. They work with Extreme Response International which is a Christian organization that is committed to changing the lives of those living in extreme,often life threatening situations. This is the Wallace’s first opportunity to serve full-time in cross-cultural missions. They are currently in language school learning Spanish so that they can be fully equipped to serve the people of Quito, Ecuador. When language school is complete they will serve as Assistant Directors at the Quito Dump Project which reaches out to those living in a large city dump. Please be praying for Brian, Robyn, and their two small children as they adjust to their new culture and life in South America.